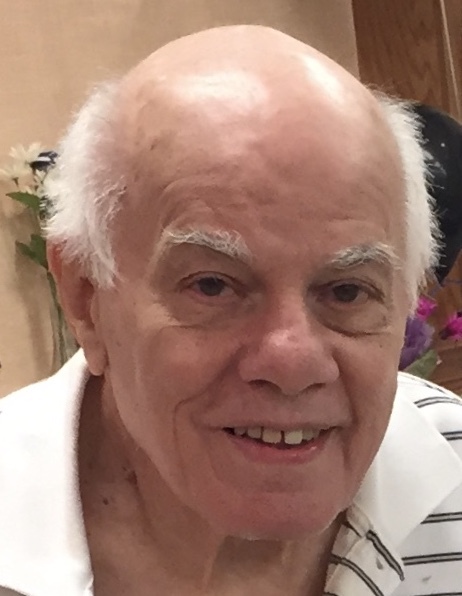 Harold Eugene Schildmeier, age 83, of Arcadia, IN passed away February 1, 2019 at North Woods Village at Kokomo, IN. He was born September 27, 1935 at Arcadia, IN to Lewis Frederick and Eva (Coy) Schildmeier. He was a graduate of Jackson Central High School with the Class of 1953. Harold first went to work at Delco Remy at Anderson followed by working over 37 years at Firestone Rubber Products Company at Noblesville, IN, that later became known as Bridgestone Rubber Company. Harold enjoyed watching and participating in sports. He was on the varsity basketball team for Jackson Central High School and the Delco Remy Basketball Team. Kids living in his neighborhood were often at his home learning from and playing basketball with Harold. In his early years he raced stock cars at the Anderson Speedway and took flying lessons that resulted in him soloing. He then switched to parachute jumping with his daughter often helping him fold and pack his parachute. Milder hobbies found Harold coin collecting and horse racing. He married Joyce (Hurd) Schildmeier on March 27, 1955. She preceded him in death May 29, 2000. In addition to his wife, he was also preceded in death by his parents, brothers: Glennis and Donald Schildmeier and sisters: Norma Comer and Naomi Johnson. Surviving him is a daughter: Linda Lou (Kenneth) Vanosdol of Windfall, IN, a brother: Lewis (Betty) Schildmeier of Atlanta, IN, grandchildren: Andy Vanosdol and Kristen (Ryan) Moore plus a great-grandchild: Hayden Moore. Funeral services will be held at 1:00 P.M. Friday, February 8, 2019 at Hartley Funeral Homes Cicero Chapel, 209 West Jackson Street, Cicero, IN 46034 with burial to follow at Arcadia Cemetery. Visitation will be from 11:00 A.M. until time of the services. Memorial contributions may be made to Alzheimer's Association, 50 East 91st Street, Suite 100, Indianapolis, IN 46209-4830 or Special Olympics Hamilton County, 1229 Dahlgren Lane, Cicero, IN 46034. You may send condolences at http://www.hartleyfuneralhomes.com.